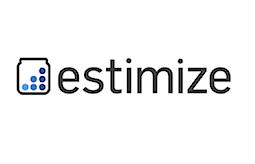 For the past 12 months, I have been part of Estimize, a community of 13,000+ professional and non-professional equity analysts who are contributing their earnings estimates to this open platform. I have used Estimize to quickly scan through companies’ earnings and been able to leverage their tools for sizable gains in the stock market. A couple of weeks ago, Estimize reached a significant milestone (let’s call it a pretty big deal!) by forming a partnership with Bloomberg’s 310,000+ subscribers and bringing its services to them (here’s the announcement). On the heels of this milestone, Estimize Founder & CEO Leigh Drogen took the time to sit down for an interview and to be the latest entry in See It Market’s cache of business interviews. We had so much to share that it was virtually impossible to make it a “Take 5”: this interview mirrors the exponential growth of Leigh’s brainchild and could not be constrained to just 5 questions. Before I yield the floor to our guest, I’d like to share that Estimize offers a unique tool for quick, efficient financial visualization of earnings estimates. The core of the engine allows traders to quickly identify potential arbitrage situations between traditional expectations and independent reviews, as well as contribute their own estimates. Just like in all things relating to trading, it takes discipline, patience, time and work to pay off, but Estimize helps cutting down on the “time and work” part of the equation. There is an extremely disrupting quality about Estimize and it allows a community of 13,000+ from professional traders to amateur ones, from the top hedge funds and asset management firms, to independent analysts and investors, corporate finance professionals and students, to quickly create value and trading strategies centered around earnings. So without further ado, let’s dig in to the latest SIM interview edition and spend some time with Leigh! 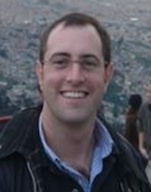 Alex Salomon: First things first, can you tell us a little bit about your background and how it affected your creation of Estimize? I was taught by David Geller how to look for inefficiencies in the way that people invest and trade, and how to take advantage of them. Eventually I was tasked with running one of the main strategies at the firm which looked at earnings acceleration and analyst estimate revision models. Basically we took advantage of the inefficient and skewed process that produced the current Wall Street earnings estimate data set, and how the market used that data. When young companies in growing industries, or companies transitioning to a new business model, show significant growth in profit and revenue, Wall Street analysts often do not accurately represent the true expectation of what that growth will be over the coming quarters. 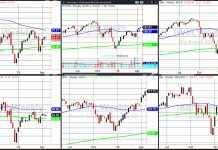 We backtested different strategies that looked at relationship between this data and how stocks behave, and were able to get in front of intermediate term momentum trends in the stocks we identified to generate a significant amount of alpha. 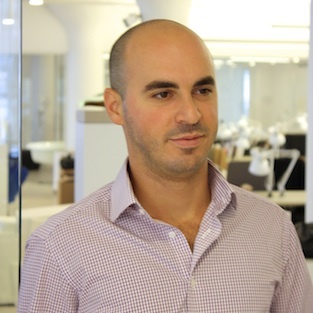 It was at Geller Capital that I first had the idea for creating a platform that would crowdsource earnings estimates from a different set of analysts, the asset management firm, hedge fund, and independent analysts that didn’t have the same skewed incentive structure as the sell side guys. But at the time I knew nothing about how to build a technology startup. 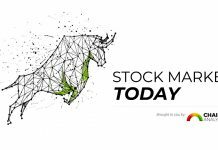 A few years later after successfully running my own asset management firm for two years I got involved in another financial technology startup, StockTwits, which I had the chance to learn how to build Estimize. At StockTwits I ran part of the product development process, and then eventually part of business development. The two years I spent at StockTwits was an amazing opportunity to learn how to build Estimize, make mistakes, grow a community, and be a part of a group of people doing something very innovative. Without my experience at StockTwits there is no doubt Estimize would not exist today. Alex: Where did you grow up? Did anything in your background prepared you for Estimize? Leigh: I grew up in Chappaqua, NY, a town about 45 minutes north of New York City. I was extremely lucky to attend Horace Greeley High School, one of the best public schools in the country. College was a cakewalk compared to high school. 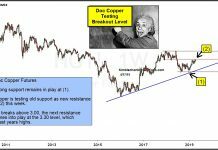 At Geller Capital I was taught a lot of behavioral finance, which included how to understand your own emotions in relation to the market and how your positions were performing. The process of building a startup is an emotional rollercoaster and that training has helped me a ton. Being able to sit back on a regular basis and take stock of where my emotions are in relation to our progress is something that’s greatly helped me to stay on an even keel throughout the process. Alex: You seem to be a fierce hockey aficionado… did it help with Estimize? Leigh: I love hockey, it’s very much a religion to me. I believe that everyone needs to feel like they are part of something bigger than themselves. Some people choose spiritual religions, some people choose political parties, I like sports. Hockey really has everything including a very tight team atmosphere where you cannot be successful on the ice without working well inside of a system. Not many sports are similar in that way, you really do go to war with your teammates every time you step on the ice, you can’t do it alone. Learning how to a lead a team, learning how to make people believe in you as a leader, and simply learning how to win, which is a skill, has been great experience that’s helped build Estimize. Alex: I guess that your hockey view and philosophy helped you shape your own startup. What was important about creating your own company? And how long did it take you from conceptualization to realization? Leigh: I first had the idea for Estimize in 2007; we started the company in May of 2011 and launched the first iteration of the platform in November of 2011. We still have a long road in front of us to realize the full extent of what Estimize should be, but I’m excited about how far we’ve come so far. I had never been particularly good at working for other people. I’m extremely opinionated and don’t have a great skill set when it comes to dealing with corporate politics. I love learning under great mentors such as David Geller (Geller Capital) and Howard Lindzon (StockTwits), but eventually I’m the kind of person who wants to drive the boat once I feel I’m ready. I’ve never thought of myself as a serial entrepreneur in the way some do, I just always seem to take the initiative to execute on my own ideas after spending time learning under someone else. Alex: Thanks! With that in mind, why did it matter to you? What was so important about realizing your vision? Leigh: We’re trying to change something about equity markets that’s very broken. I get a lot of people asking me why I gave up running an asset management firm to get into technology and start Estimize. The truth is that I really wanted to change the way this part of the equity markets worked. I wanted to build something that was valuable to people, and I had the belief that I was the right person to do it. I loved being a trader, and at some point in my career I will go back to running money, but I wanted to build something that provided value to people before I was too old to take the risk or didn’t have the energy anymore. And obviously I believe that there’s an extremely lucrative business to be built at Estimize. Alex: Is Estimize now, all based on reasonable expectations, where you wanted it to be? Farther along? Not quite there yet? Leigh: As a product, platform, community and as a business we really are right where I expected us to be about 22 months into starting this company. That said, it certainly has not been a straight line and there have been many days, weeks, and months where I felt we were way behind or way ahead of those goals. Coming into this I was very aware that I didn’t have all the answers, but I definitely had the broad outline of what we needed to do and how we needed to do it. I love the quote from Jeff Bezos the founder of Amazon where he says, “We’re stubborn on vision and flexible on details.” I try to live that quote every day and make sure everyone on my team executes with that in mind. We don’t have all the answers, but we definitely have a solid vision and understanding of how to get where we want to go. Alex: How do you interact with your users? Leigh: One of the things I learned from Howard Lindzon was that you need to set an example for how your community behaves and uses your product. You need to lead your community. I participate as an analyst on Estimize not just because I find a ton of value in publishing my estimates, but because I’m setting an example for how the platform should be used. I’m also still the person who answers all of the Estimize Help Desk emails. The feedback we get, especially the constructive criticism is extremely important for me to be in front of. That coupled with being very present on Twitter and StockTwits where everyone knows they can reach me with questions and suggestions is an amazing way to feel the flow of sentiment regarding the product and how people are interacting with it. It’s all about being directly in the flow of information. We also operate very much as a lean startup, meaning that we try to validate everything we build or sell before we put time, energy, and resources towards it. This is the flexible on details part. Reaching out to community members directly for feedback is a big part of this validation process. Alex: How do you keep up with vision, while generating new ideas and concepts? Leigh: For me the development of vision is a matter of trying to figure out timing. There are a million ideas I’d like to see come to fruition, but understanding when to execute on them is extremely important, sometimes certain things need to happen in order to execute on others. Being inside the financial and technology ecosystems also contributes to being on the cutting edge of what’s taking place and understanding where your ideas fit in. It’s important to put yourself at the center of these communities and expose yourself to different ideas from a lot of different people. Great ideas and partnerships don’t just magically happen, they are the result of people sharing with each other and having new experiences. New ideas are almost always the result of me riffing with someone else, that’s how I learn and that’s how my imagination works as well. I love the Socratic method, asking questions, playing devil’s advocate, asking someone what if. It’s a process of figuring things out; it’s almost never a light bulb moment. Alex: What is the single thing you wish you had known or had to save time on your roadmap? Leigh: Learning to be patient and allowing things to develop a little more in my mind before executing on them is something that’s been a process for me. At times I’ve definitely been hasty with the product when I didn’t have a full understanding of how something should work and that’s cost us time and resources. Alex: How do you escape breathing, living, sleeping, dreaming of Estimize? Leigh: Getting on the ice helps a lot; you need to give your mind and nerves a break a few times a week. Physical exercise is an extremely important part of keeping your mind sharp, it restores the correct chemical balance in your brain that’s needed to be sharp and open to new ideas. A few times a year I try to take a trip to surf somewhere warm, reconnect with nature, and get away from people. Alex: Lastly, What’s next and what should we expect from Estimize in the near future? What is the biggest challenge to surmount? Leigh: Our biggest challenge is building community. As more and more analysts get involved in the Estimize platform it becomes extremely valuable to everyone, and drives the business model of our company. Everything revolves around building community at scale. We have a lot of cool stuff up our sleeves; I can’t wait to get it out the door and in front of everyone. We’re extremely excited about the partnership we just made with Bloomberg but you’re going to see a bunch of others that will put the Estimize community and data set at the center of other large financial media and data platforms. We’re building tools for sorting and filtering, more data visualization, statistical measures of analysts, new data sets to estimate on, and a whole bunch of other things. Hold onto your hats! Special thanks to Leigh for his time and best of luck to the Estimize team. And thank you for reading.